Damon Chaplin has kindly given permission for the ArtIce (v1.1) and MiceArt (v1.2) programs to be released as freeware now. 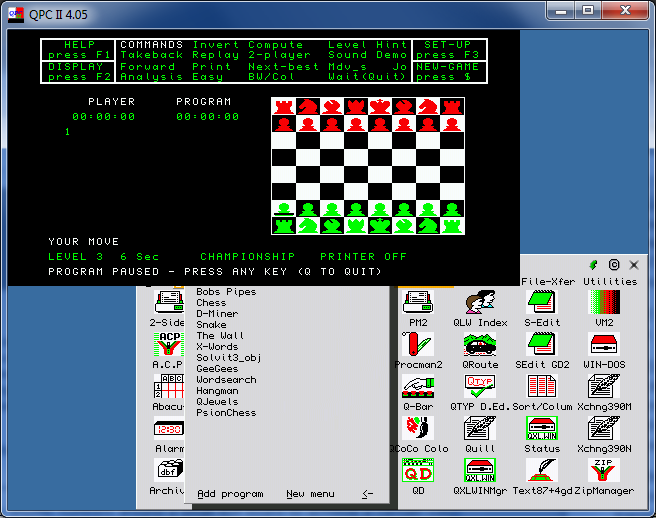 Formerly published by Eidersoft, these programs are intended for use with the ICE (Icon Controlled Environment) system. 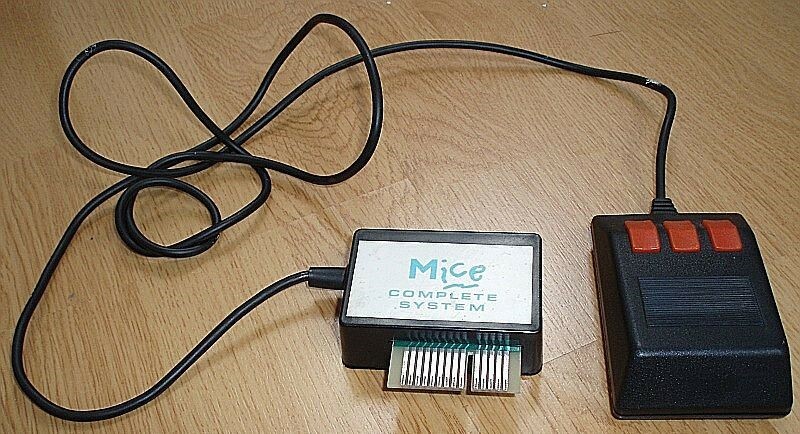 Artice v1.1 is for the original ICE system, while MiceArt v1.2 is for use with the mouse version of ICE. Both versions come with PDF manuals. I don’t have a copy of ICE to ensure these actually work! If anyone is able to check them, we could do with a screen shot if possible to add to the QL Wiki. This entry was posted in News on 18/04/2019 by Dilwyn. 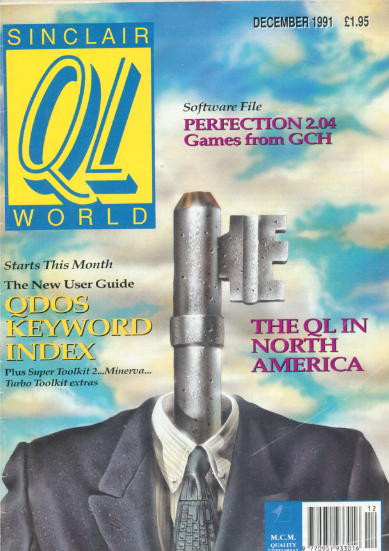 Thanks to the hard work of Klaus Frank in Denmark, I’ve been able to add further scanned copies of QL World magazine to the Magazines Page on the QL Home Page. This entry was posted in News and tagged Magazine, QL World on 17/03/2019 by Dilwyn. Not many new features but lots of internal improvements. The Sort Key can be set from the DATA menu. A bug in locating the edited and sorted record from View is fixed. Better detection of Read-Only media. Updated ReadMe and Help files. QCoCo is now version 1.63. Supports the new binary _thb files next to the ascii _thm theme files. APPLY needs a Confirm or Undo action. RESET can reset the current theme or to the startup theme. A new Theme Viewer (by PJW) is included showing the colours and hex numbers. Incomplete themes should not crash the program and are automatically completed through the SYNCHRO option. Invalid, referenced and 3D items are marked when Viewing the colours. Can be started with a theme as CMD$ which overrides the config item. Updated ReadMe file. This entry was posted in News and tagged Q-CoCo, SuQcess on 15/03/2019 by Dilwyn. Recent versions of SMSQ/E from about version 3.00 feature high colour and high resolution screens along with the new Window Manager. 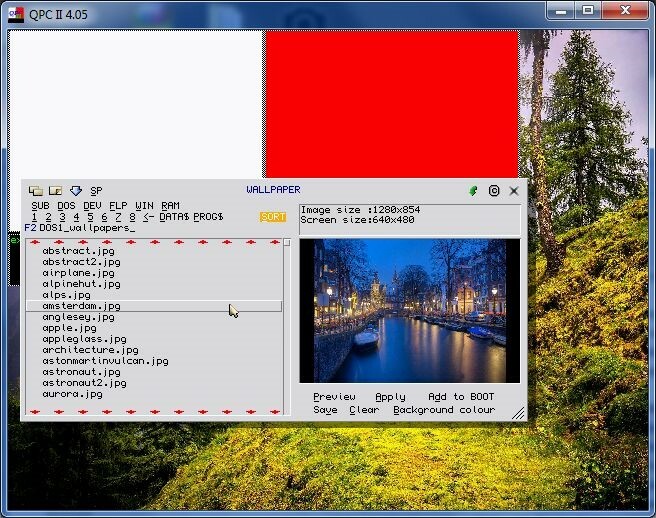 This makes them very suitable for displaying colourful and attractive background images behind your program windows. These images are called wallpaper. SBASIC provides a convenient to use command called BGIMAGE which lets you display saved screens as background wallpaper. With the wealth and variety of free images available on the internet as JPEG, GIF and PNG files, for example, I decided to write a program which converts these images to the type of QL screens which the BGIMAGE command can use. My Wallpaper program uses David Westbury’s PHGTK toolkit which shoulders the burden of the work in converting these files and resizing images to fit your system or emulator’s screen. 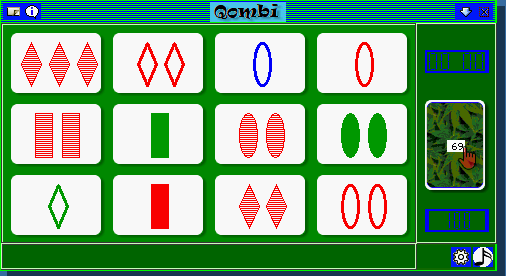 It can convert the graphics to mode 16 (Aurora and QPC2), mode 32 (QPC2, SMSQmulator and QXL), or mode 33 (Q40, Q60, Q68 and possibly even a registered QemuLator with its own customised mode 33 version of SMSQ/E). Simply select a JPEG, PNG or GIF file using the pointer driven file selection menu, then select whether it needs to be rotated, and how to resize the image (e.g. preserve aspect ratio, stretch, crop) and wait a few seconds for the conversion to take place. Small previews help you view the screens. Once the conversion is done, you can see a preview in full-screen mode, apply it as a BGIMAGE wallpaper, save as a screen in the current screen mode for future use and even get help editing your boot program to add or amend a BGIMAGE command so that the wallpaper is loaded at startup. The program can even select a background colour to use in place of wallpaper if you wish (e.g. apply a dark background colour late at night to save your eyes from a bright screen). The downside of using wallpaper on a high-colour system is the amount of memory it takes. On a 16-bit colour system such as QPC2 each pixel needs two bytes of memory, so a 1024×768 pixel display in mode 32 or 33 could need up to 1,572,864 bytes just to hold the uncompressed wallpaper – at the time of writing SMSQ/E does not support compressed wallpaper screen images. Couple this with the copious amounts of memory needed during conversion, and you can see that you will need to set your emulator to have quite a generous amount of memory! So, the Wallpaper program lets you choose whether the graphics are converted more quickly in RAM, or as files on your hard disk if you keep running out of memory. A Quill _doc file is included which explains a lot about wallpaper on SMSQ/E systems,the file formats used, the BGIMAGE command, use of programs such as Photon and so on. This entry was posted in News and tagged Wallpaper Program on 14/03/2019 by Dilwyn. “All three have had the same updates. There are not any changes to the actual device driver, Just some tidying up of the SuperBASIC extension commands parameter checking and error handling. Function versions of the MOUNT, UNMOUNT, and the MAKE commands have been added. This entry was posted in News and tagged MDI/FDI Device Driver Updates on 13/03/2019 by Dilwyn. 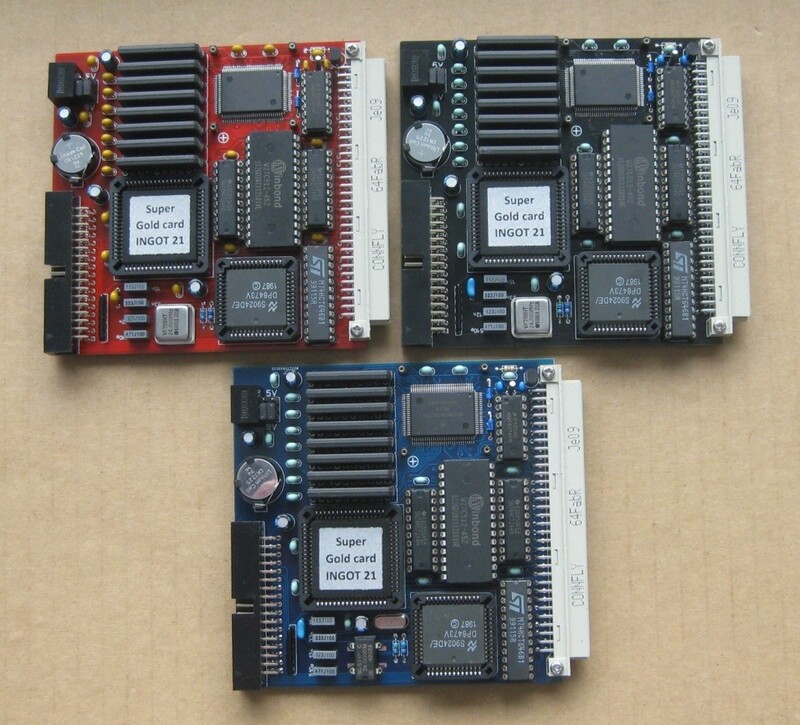 Tetroid in Russia reports that havinbg secured a supply of some EP1810 chips, he is now able to offer a limited number of Super Gold Card clones via his SellMyRetro.com store. The unit has a switch-mode power supply which imposes less power drain on the system. The battery backed clock now uses a small standard battery which is easier to find and replace. A single floppy drive connector allows up to three disk drives to be connected, which may be DD (720KB), HD (1.4MB), or ED (3.2MB) types. It has 4MB RAM and a 24MHz 68020 processor on board. The Super Gold Card clone costs $199.99 (US dollar) plus shipping costs. This entry was posted in News and tagged New Super Gold Cards on 12/03/2019 by Dilwyn. This entry was posted in News and tagged M-Crunch on 11/03/2019 by Dilwyn. I’ve added a number of other toolkits to the Toolkits page on my site – thanks to Rich Mellor for sending me a compilation of such software to add to my site. Some of these are QL software I’ve never seen before and will no doubt some in useful to BASIC programmers. ECman is a screen extinguishing and video memory manipulation toolkit, with eight extensions from Jacques Tripodi. Factorial Extension is an extension to return the factorial of an integer number, while Fract is an extension to return the fractional part of a floating point number. NDIM is a function to return the number of dimensions of an array. LWCUPC consists of extensions to convert strings to lower case and upper case. PTRRTP consists of four extensions for Polar to Rectangular and Rectangular to Polar conversion. REV$ is a function which reverses the characters of a string. SGN% is an extension function which returns the sign of a given number, -1 indicates negative, 0 means zero and +1 means it’s a positive number. SWAP is an extension to swap the values of two variables, e.g. SWAP variable1,variable2. TRIM$ is an extension to remove spaces from both ends of a string. TRUE% and FALSE% are extensions which return 1 and 0 respectively. Triprodro extensions TRINT, PROUND and DROUND for rounding off numbers. All by Bruno Coativy. WIPE is an extension by Peter Beule to quickly clear the QL screen to black. This only works on a standard 32K QL screen. LEVEL2% is a function which tests for the presence of level 2 drivers on a device attached to a given channel number. This helps you determine in software whether the device supports directories or not. Stand-alone extension based on a similar function in Norman Dunbar’s DJToolkit. 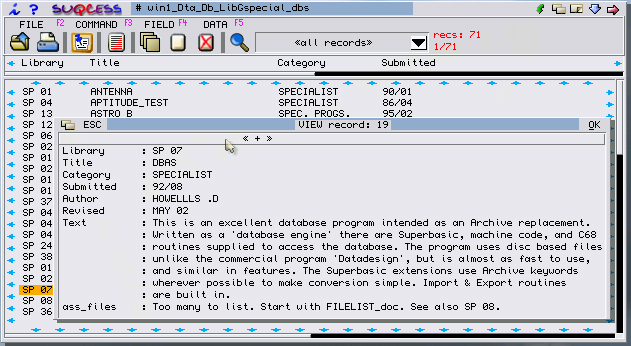 Assembler source included. Toolfin is a financial tools package, with several extensions to aid financial calculations. Original package in Spanish with machine-translated English document. Author is Felix Alonso. QSound v1.31 contains the latest EPROM version for the ABC QSound interface. 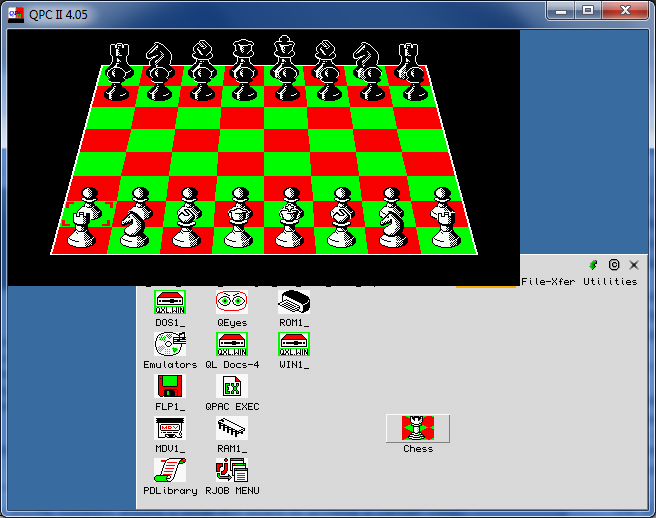 The sound examples may be run on the QL-emulator, provided the sound extension has been activated (SND_EXT). This entry was posted in News and tagged Freeware Updates on 10/03/2019 by Dilwyn. This entry was posted in News and tagged Aehnlich on 09/03/2019 by Dilwyn.